Space and condition of this 2007-built 2/2/1 Villa home will impress. Small gated neighborhood. No age restrictions!! Efficient Eat-in Kitchen. High ceiling in Great Rm for open feel. Vinyl enclosed lanai offers additional space. Split bedrooms are large with walk-in closets. Inside Laundry area. 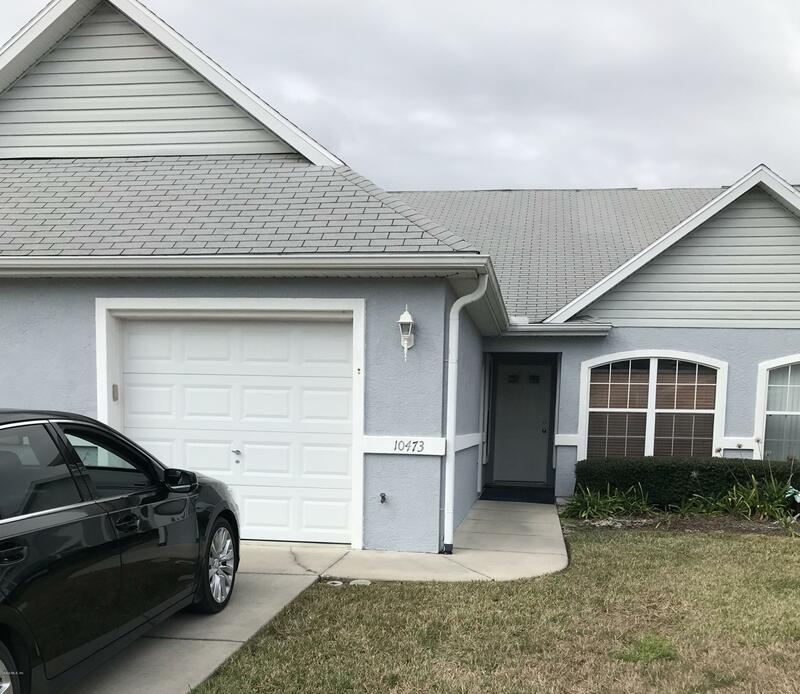 Carpet in Great Rm and Bedrooms, tile elsewhere.Very affordable HOA fee covers standard cable with Spectrum, Trash Pickup, Lawn Care, Irrigation System Water Useage, Exterior Painting and Community Pool. Great home in convenient location! Publix Center, Super Walmart center, Lowes, eateries, associated retail, banks & TimberRidge Med Center all w/in +/-2 miles of home.